Giving back is something really important in life. Our business mentality at Scooterise has a bidirectional purpose. We love to share our excitement while on tour with travellers from all over the world. Our happiness is immense when we receive excellent comments and try to improve ourselves for the next activity, event or tour. Donations are a large portion of our company’s corporate social responsiblity program that is implemented every year. Heritage Greece is a once in a lifetime opportunity to explore Greek heritage, culture and identity with a peer group of students from the US and Greece. Students learn language skills within the context of modern Greece and travel to important archaeological locations. Visits to an island and related sites and activities will facilitate strong connections with students’ Greek roots and identity. Lately, Scooterise donated part of the proceeds from the Heritage Greece 70 participant group of Greek American students. The donation was given to the American College of Greece – Deree, Scholarship Fund. 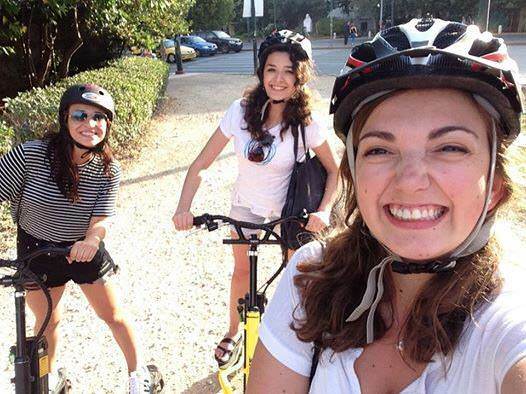 The tour that was conducted was a Private Trikke Tour experience in the historical center of Athens. 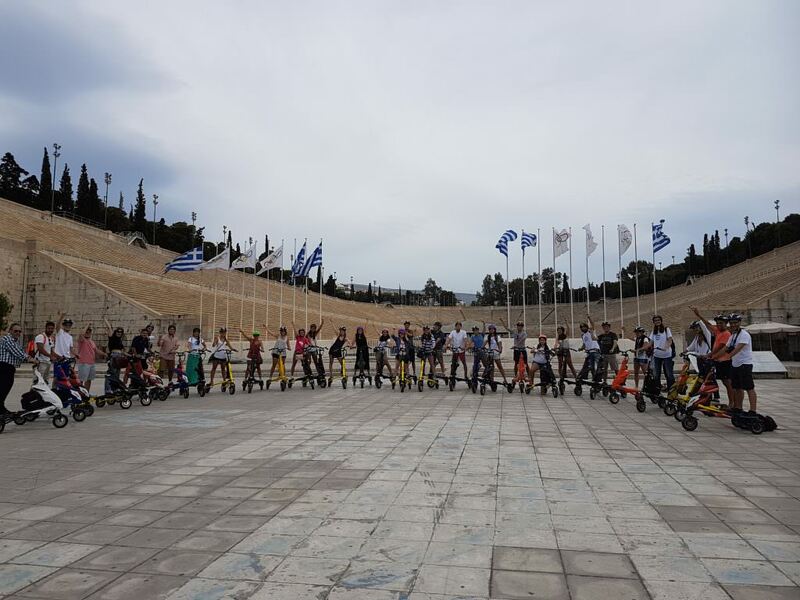 All the participants relished the beauty of Athens riding the easy and fun to ride, eco friendly electric Trikkes. More information for the Heritage Greece program can be found here. We hope to see you all in the future once again!